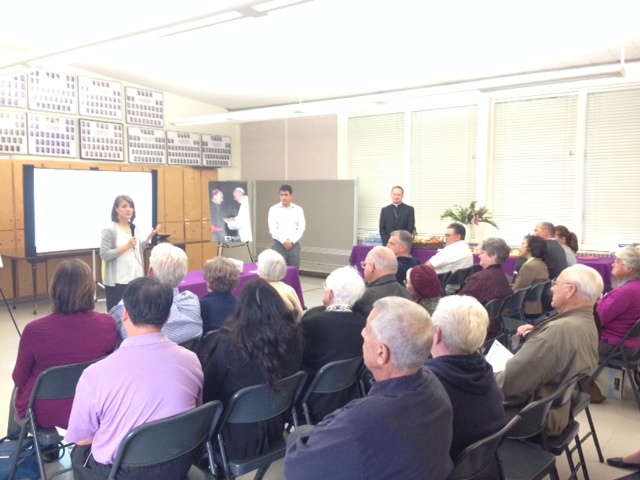 Last week I visited Assumption parish in San Leandro for a capital campaign reception. Everything there looked familiar. I used to visit this parish regularly in the 1970’s and 1980’s as my aunt and cousins lived near there. Fathers Vince Scott and Chris Berbena kindly fed me beforehand. We had an excellent turnout. 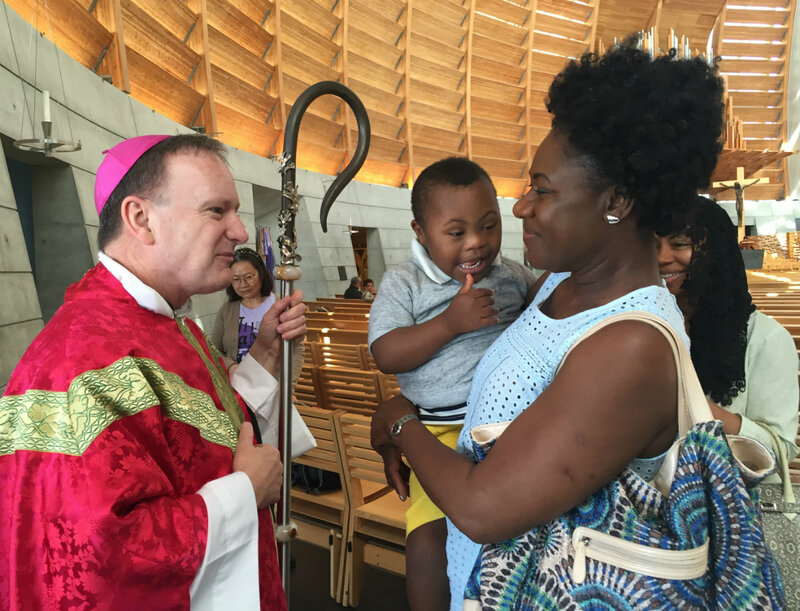 I praise Assumption parish, especially that they have recently given us a new priest in Father Derrick Oliveira, whose own father still lives in the parish. The next day I traveled to Union City and Our Lady of the Rosary parish. Fr. Jesus Nieto hosted us. It was Lenten “Soup Night” and parishioners had prepared about 12 pots of different soups to share. Our presentations that evening were evenly divided into Spanish and English in this richly diverse parish. One of the highlights of the liturgical year for me is the annual Chrism Mass. Every year before the evening liturgy, all the priests gather with the bishop and we have a conference and meal together. 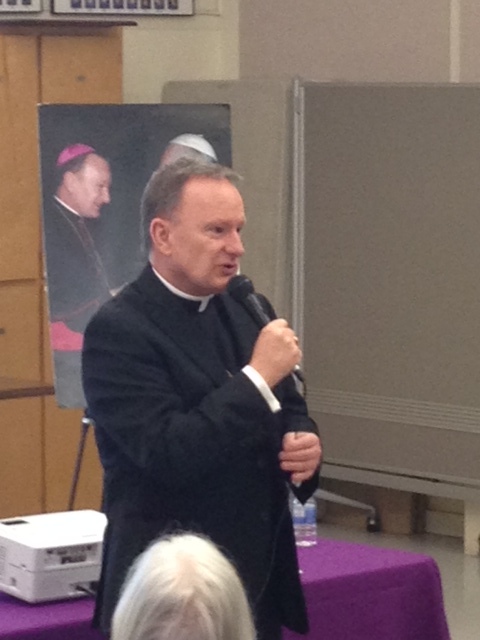 I gave a presentation on “The State of the Diocese” to report to the priests on my stewardship. I also had the happy opportunity of presenting Steve Mullin with the Diocesan Medal of Merit. Steve has just completed 14 years as Director of Parish Life at All Saints Parish Hayward, and taken up a new post as parish liaison at Catholic Charities. Thanks, Steve! In the afternoon we also held the ritual of Incardination of Fr. Johnson Abraham of St. Agnes parish, Concord. 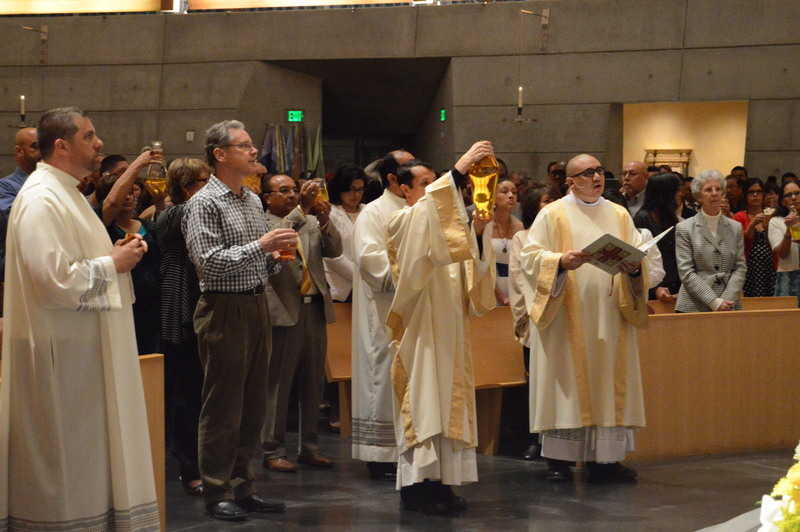 Incardination is the process where a priest formally transfers from a religious order or another diocese into the Diocese of Oakland. Fr. Johnson formally swore his fidelity and obedience to Christ and to the bishop, in the presence of the College of Presbyters (all the diocesan priests). At the Chrism Mass I blessed the Holy Oils. The olive oil which I blessed is donated every year by the Dominican Sisters of Mission San Jose from their olive orchard. The original olive trees on their property were planted by the Franciscan missionaries who founded Mission San Jose in Fremont. Since all the priests were gathered together for this Mass, we included the Ceremony of Candidacy. This is the final step before ordination to the diaconate. Our seminarian Luis Lopez was formally recognized and welcomed into the Presbyterate of the diocese. We could use many more young men like Luis to join the ranks of our seminarians and diocesan priests. We were blessed at the Chrism Mass by Fr. Bud Stevens, rector of St. Patrick’s Seminary, who was the guest homilist. 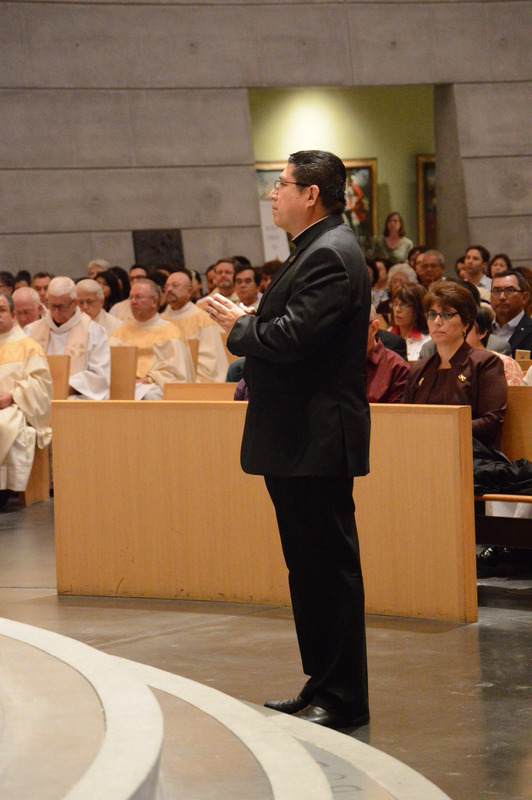 You can listen to his impressive homily here. 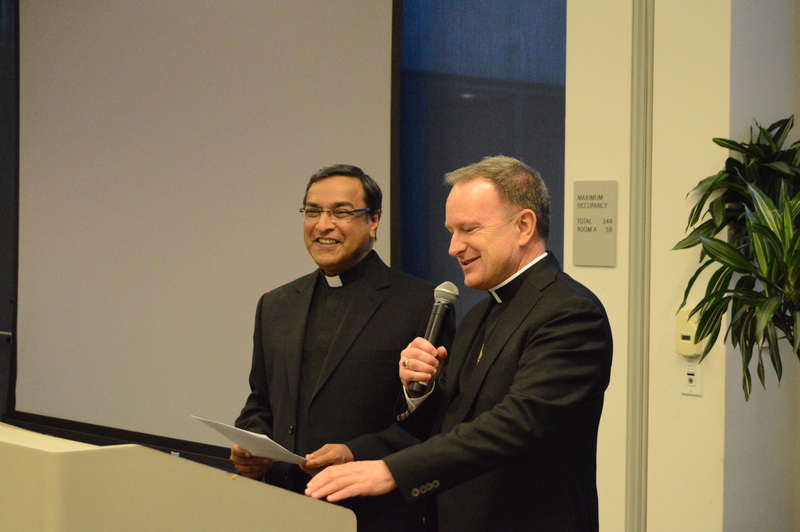 We had one more capital campaign reception before Holy Week and Easter. We went up to St. Jerome’s in El Cerrito where Father Fernando Cortez welcomed us. At these receptions we talk more about Faith than money. 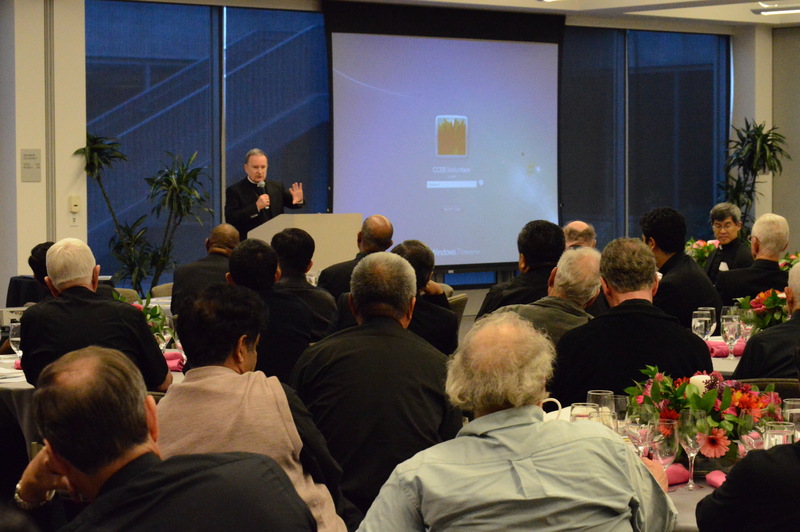 It is one of the best opportunities I have as bishop to answer parishioners’ questions and hear their comments on the life of the Catholic Church in Oakland. I enjoy it. Then last Sunday we celebrated Palm Sunday. 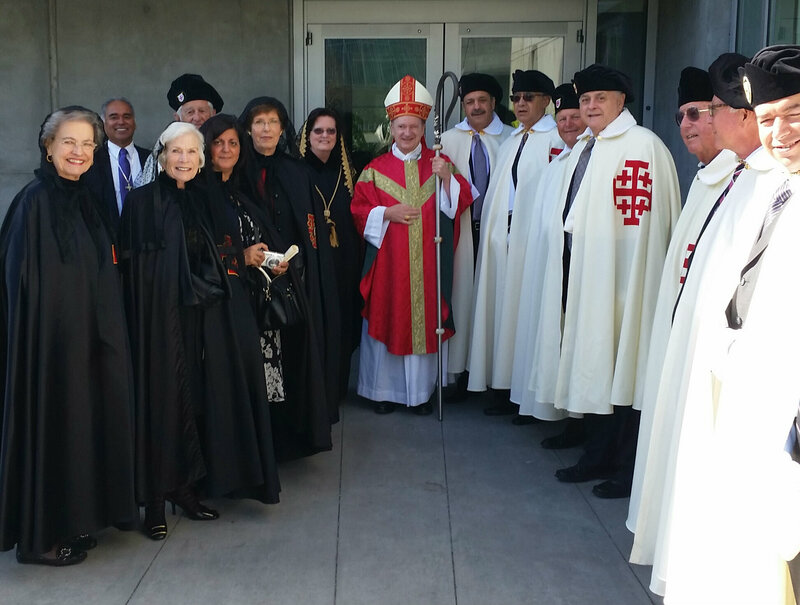 We had a procession in the Cathedral Plaza, made all the more special by the presence of the Ladies of St. Peter Claver, and the Knights and Ladies of the Holy Sepulchre. The Cathedral was beautifully decorated with palms, and the music by our choir was wonderful. Helped by the beautiful music and architecture of our cathedral, I am reminded how participation in the Holy Week Liturgies is the best way to enter into the mystery of the Lord’s passion, death, and resurrection. Thank you to John Espinoza for these last two photos.